This weekend I attended to Irina Vitjaz’s fashion show. 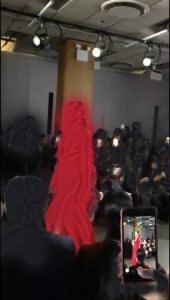 The moment the models started walking the runway I realized everyone was watching the show through their smartphones. So I decided to photograph that moment and make an erasure focusing on the phones. 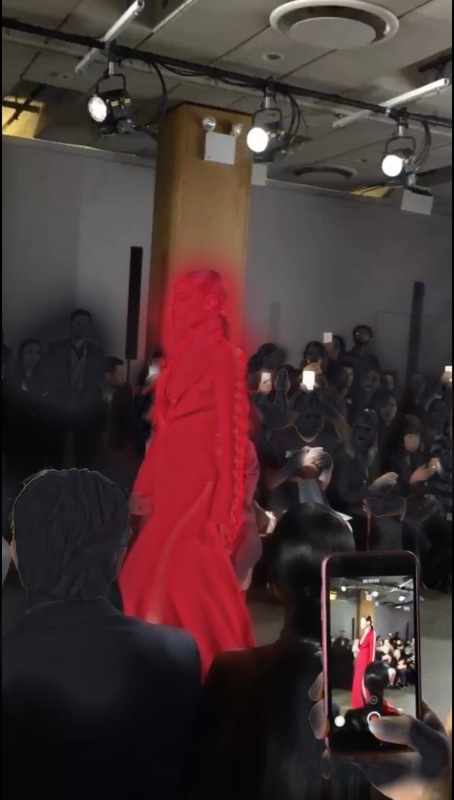 I blurred out the model and the audiences to reveal that moment can also be seen on a smartphone. This erasure criticizes the people of today, there is a thin line between living in the moment and technology.